Earl of Grey, The Tea Spot’s twist on the traditional classic black tea, is now a featured ingredient in Boulder Colorado-based Fate Brewery’s Apollo Tsai American Honey Wheat beer. The Tea Spot announces today a new use of its Earl of Grey loose leaf tea–as a flavoring ingredient in a Apollo Tsai–the latest microbrew from Boulder, Colorado-based FATE Brewery. The beer falls under the Hoppy Beer naming structure at FATE Brewery. One of FATE’s core beers, the Moirai IPA, is named after the three women who in Greek mythology determined man's fate. So every hoppy beer FATE produces will have a Greek name relating to the beer and mythology. In this case- Apollo is the Greek god of music and Tsai is the Greek word for tea. So the brewers at FATE chose this name in their collaboration with Kyle Hollingsworth, a music wizard, by naming it after the god of music. And, the brewers at FATE like to think that Apollo's drink of choice would naturally be beer mixed with tea. 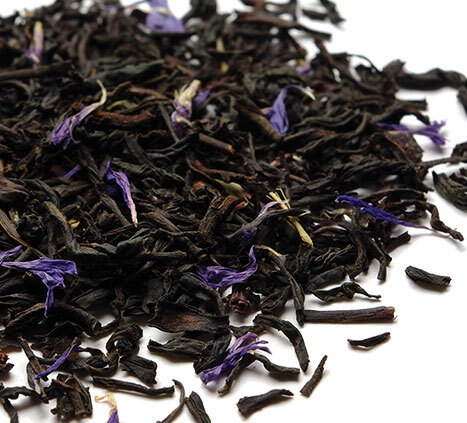 The Tea Spot’s Earl of Grey loose leaf black tea takes a modern twist on the traditional Earl Grey by combining the expected bergamot flavoring on black tea leaves and then adding other citruses, vanilla, licorice root and mallow flowers. The result is a smooth, bright and creamy flavor profile. 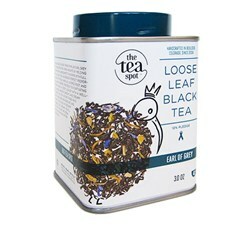 It is one of The Tea Spot’s award-winning and best-selling teas. FATE Brewery partnered with Hollingsworth on this project to help promote his fundraiser benefitting Conscious Alliance. Headlined as "Kyle's Brew Fest", this year’s 4th annual benefit included a series of exclusive craft beer events hosted by Kyle Hollingsworth. Conscious Alliance has as its mantra “art that feeds”. Since its inception in 2002, the nonprofit has successfully collected and distributed enough food to provide over 1.6 million meals to people in need. This national 501(c)(3) nonprofit organization operates through ongoing, grassroots food collection, hunger awareness and youth empowerment programs throughout the United States, primarily by organizing food drives at concerts and music events. Donations to Conscious Alliance benefit America’s local food pantries and economically isolated Native American reservations. About FATE Brewery: FATE Brewery’s mission is to share with the world their passion for craft beer, love of innovative crave-able food and devotion to service and community. FATE Brewing Company is the brainchild of Owner and Founder, Mike Lawinski. He spent the last 10 years working for the Big Red F Restaurant Group, as the operations manager for both Centro Latin Kitchen and the West End Tavern. It was in this role that he discovered his dream and eventually what would become his FATE…to start his own restaurant and brewery that will provide crave-able innovative comfort food, expertly paired with craft beer and served by a passionate staff.